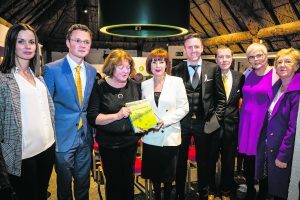 Representatives of Lough Gur Development Association called for substantial investment and support to unlock the unique potential of the historic area on the occasion of the official launch by Minister for Culture, Heritage and the Gaeltacht Josepha Madigan of a major new publication, ‘The Archaeology of Lough Gur’ last Thursday. The Minister was in attendance to celebrate the publication of the book which was compiled by archaeologist, Rose Cleary. Lough Gur Development has expressed the view that a community group can no longer be expected to run a visitor attraction of global importance without significant investment and support to improve what was on offer, and meet the needs of local, national and international visitors. 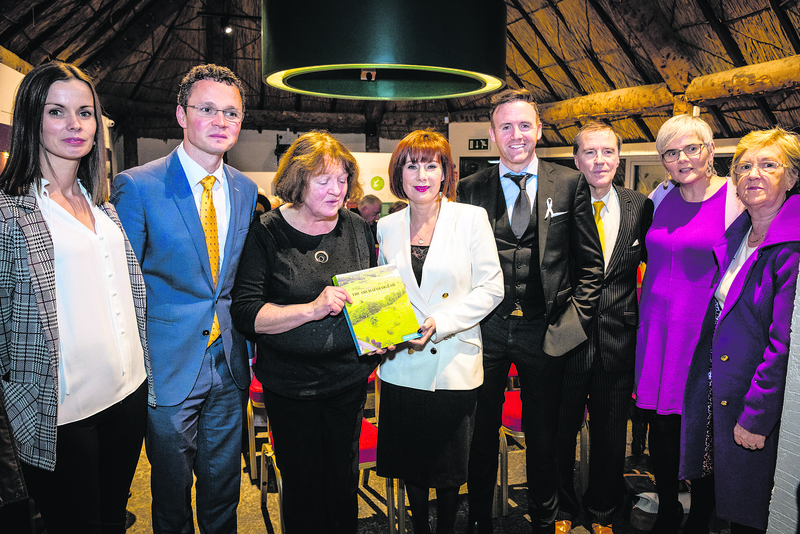 Those in attendance included ministers, councillors, Limerick City and County Council representatives, book sponsors Creative Ireland and Thomond Archaeological Society. “With the right level of support Lough Gur can become a key driver of tourism in the region. It is a site of international significance that has to date gone largely unrecognised. With over 1,000 field monuments within a 5km radius, and home to Ireland’s largest and oldest stone circle, this new publication clearly illustrates why we should all take more notice of this national treasure, ‘he added. Minister Madigan referred to the lifelong work and significant contribution to Lough Gur by founding member of Lough Gur Development, Michael Quinlan, who sadly passed away this year and offered sincere condolences to the Quinlan family. Much of the information on Lough Gur has been published in various journals, including the local Lough Gur Historical Journal. This new publication now draws together the strands of information from various sources including antiquarian accounts to modern scientific excavation and provides a synthesis of the archaeological evidence as uncovered over the past 150 years. Rose Cleary has researched and excavated in Lough Gur for over 40 years and has become a good friend of Lough Gur Develop-ment. She was instrumental in overseeing the exhibition upgrade and approved content within the Heritage Centre when the facility was updated and refurbished in 2013. Rose’s excavations in Lough Gur have enabled a review of older excavated material and to set it in the context of what is now known in Irish archaeology in terms of dating sites, reconstruction of past lives, including past beliefs, social structure, economies and contacts with other populations both within Ireland and abroad or how people lived here. These past societies shaped the landscape, and conversely the landscape shaped daily lives. Human activity is seen in the archaeological sites that reflect the ordinary activities of people whereby land was cultivated, houses were built, families reared and beliefs were expressed in things outside daily life. The impact of past societies is visible in the monuments at Lough Gur, such as the Great Stone Circle at Grange, the imposing tower house of Bourchier’s Castle, but also in less monumental sites such as the foundations of Stone Age houses on Knockadoon. Rose thanked those who allowed her to excavate on their land, those who provided photographs for the book and ack-nowledged the efforts of everyone that had contributed to Lough Gur over the years.